Natural Gas Compression Services » Mid-stream Services » Services » John Energy Ltd.
John Energy has erected and is operating the Gas Compression plants. The Gas Compression Plant is placed to overcome slow the movement of the gas, and reduced pressurethrough a pipeline, due to long distances, friction, and elevation differences. 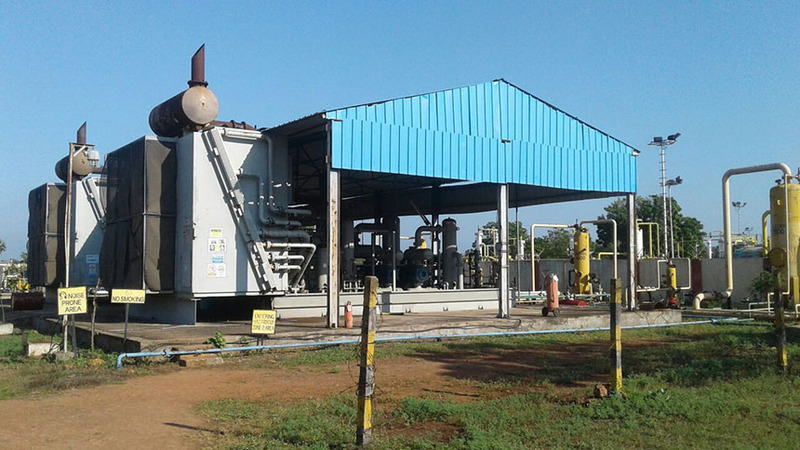 John Energy has established and operated Gas compression Plants Rajahmundhary with compression capacity of 1,00,000 to 5,00,000 SCMD.